Misty's Crown Prince is a bay pinto son of Nightmist Legend and bay pinto mare named Island Jazz. Crown Prince has markings in the shape of a crown on both shoulders, hence his name. He was born at Kelly Lidard's farm in Virginia and was offered for sale during Pony Penning that year. Her farm was damaged in Hurricane Sandy and as a result Prince and his dam were donated to the Chincoteague Pony Rescue. Prince was adopted by a family in June 2013. He was trained several tricks and was trained under saddle. 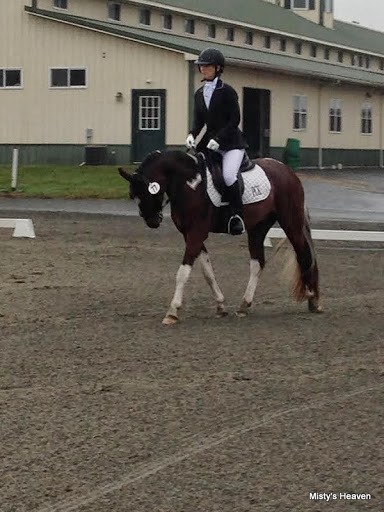 In October 2014 Prince went to his first dressage show and he won his class. Unfortunately circumstances changed and Prince returned to the rescue in March 2015. Prince was then adopted out to another family.